It was Etto’s 1st birthday weekend and what a lucky boy he is to have 2 parties. 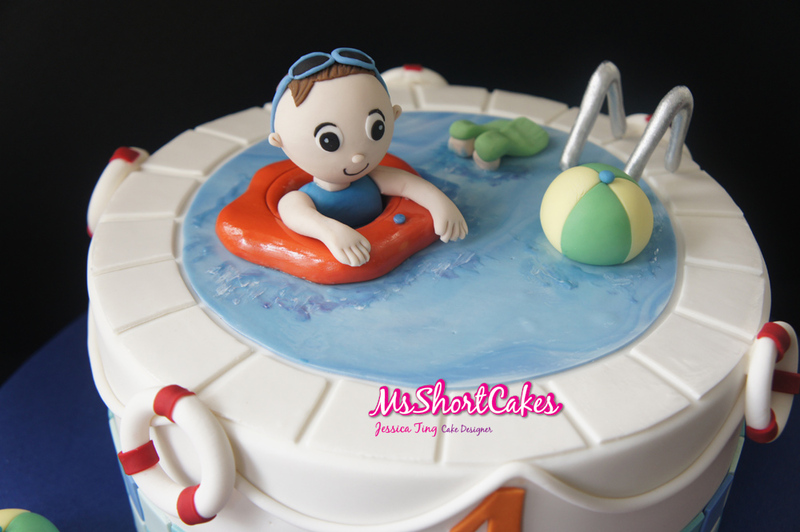 The first one was a swimming party as Etto loves to swim. His mother requested a swimming pool with Etto, of course in the pool amongst the usual suspects of beach ball, flippers, bucket, and sunglasses. 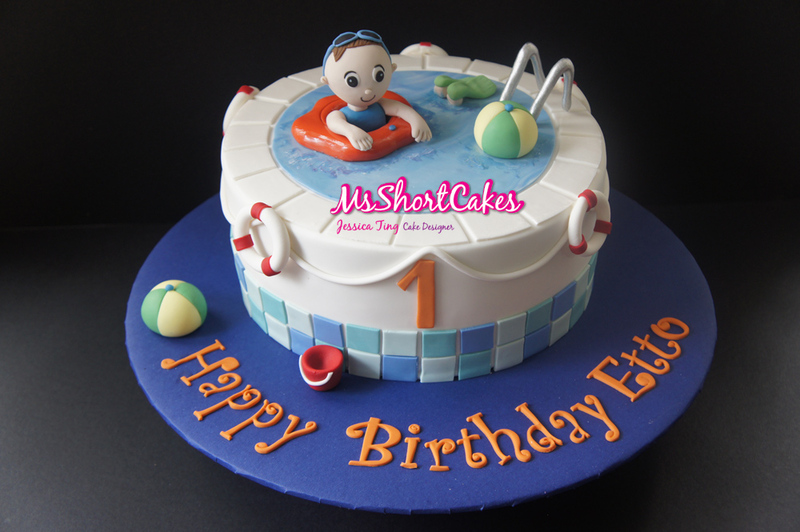 I decided to place different shades of blue mosaic tiles around the side of the cake, to make it look like the tiles used in a swimming pool. The “water” in the pool was a flat piece of marbled blue icing, then I used cold mirror gel, mixed with a little marble blue royal icing mixture, to create “movement” in the water. 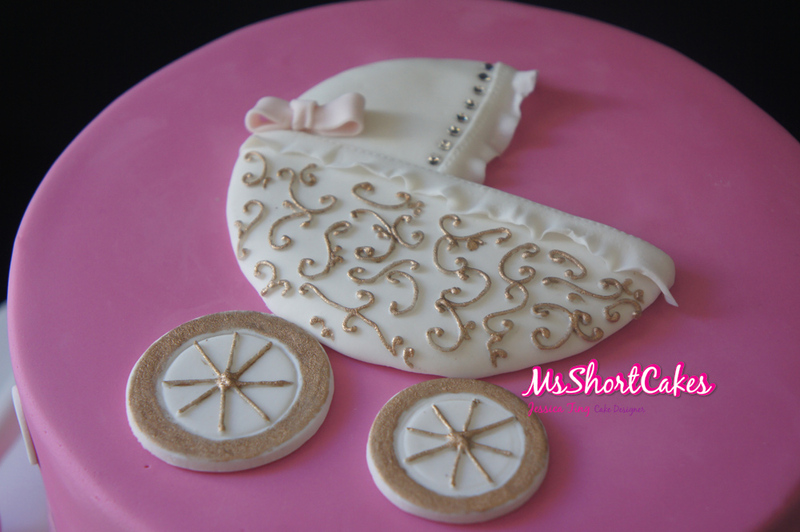 I think this method gives it a much softer touch, rather than just straight royal icing, which makes it look very stiff. 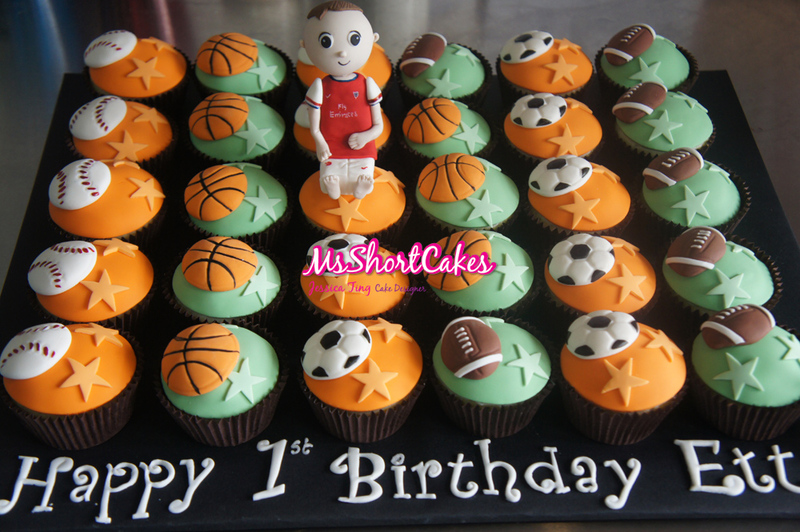 And there’s Etto, in his Arsenal jersey, sitting amongst his Sports-themed cupcakes. 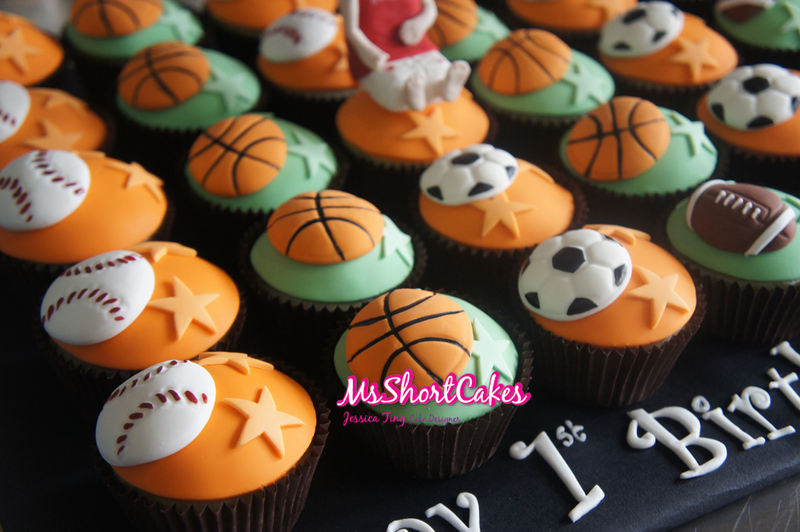 I LOVE the orange against the brown cupcake casings, and the black board also made the cupcakes really jump out at you! 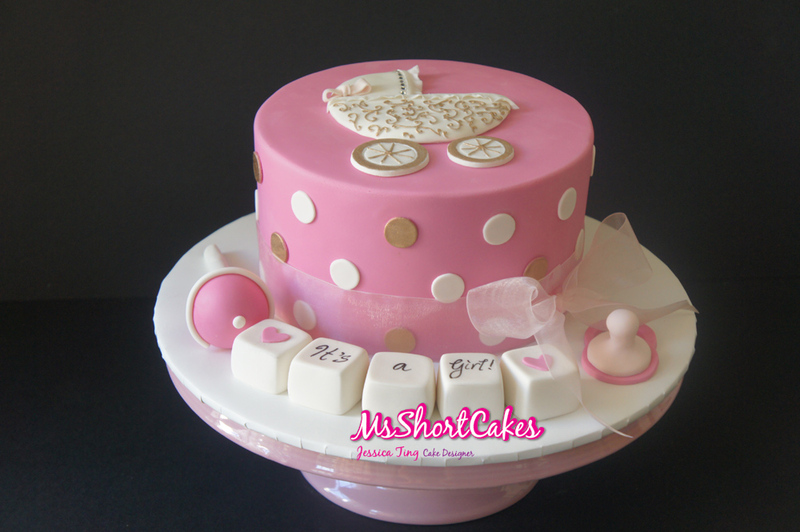 And finally, I had an old friend’s Baby Shower cake to do as well. She wanted something girly with hot pink, gold, and diamonds as the theme colours of the party. 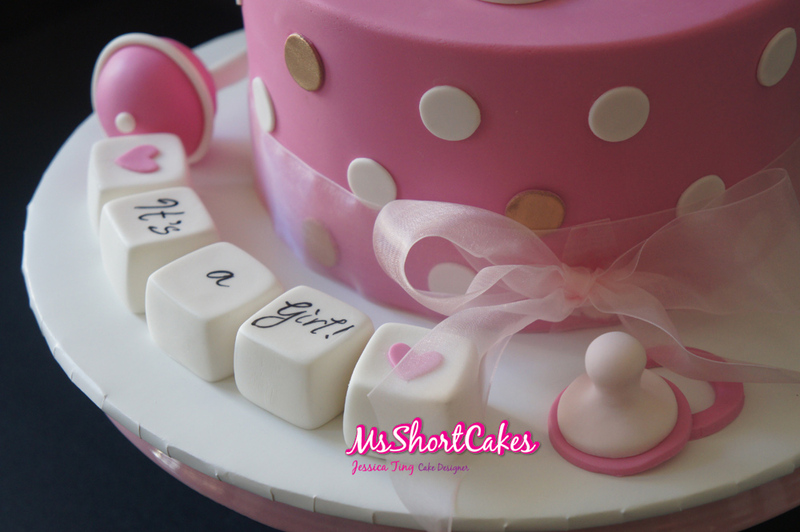 The rest of the cake had a few baby items such as a rattle and pacifier, and she also wanted some name blocks, with the words, “It’s a girl!” on them. Instead of the creating a letter for each block, as I always do, I decided to handpaint the message using only 3 blocks.